These are Anglican Schools providing education for Primary and Secondary school aged-children. A number of these children walk through the plantations from their villages each day to meet connecting buses to bring them to school. Thomas Mitchell talks to the class about life in Christchurch after the Earthquakes. Unemployment is very high in Fiji. Around 14,000 students who finish Secondary School annually struggle to find any employment. Even graduates for the three Universities in Fiji and other Tertiary institutions find difficulties in getting permanent employment in the Civil Service or Public Sectors. 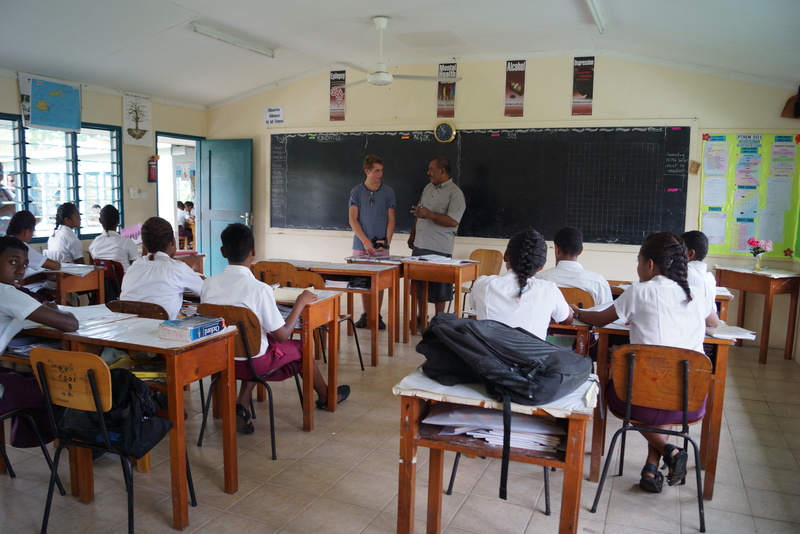 Basden College is an amazing example of a high School that offers second chance education for students predominately coming from the surrounding squatter settlements. It has grown 500% in the past 5-years in student numbers, and achieving incredible results. We have a strong partnership with Basden and will be spending time here with the students, staff and inspirational Principal.